The Practice Guide is a practical 48-page manual for all competitive or house league head and assistant coaches instructing male or female players who are 5 to 12 years of age. The Practice Guide outlines what should be taught throughout the hockey season and when. It includes a sample yearly practice plan and six sample practices with specific drills for forwards, defencemen and goaltenders. Also includes a player skills evaluation criteria form. NOTE: This guide can be used in conjunction with the Hockey Made Easy Instruction Manual. Reference page numbers are included for your convenience. 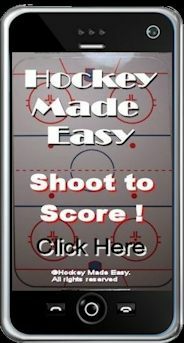 For all Travel/Rep or House League Coaches - includes teaching specific skills and systems throughout the Regular Season, preparing your Team for the Playoffs and Playoff Strategy. 48 pages detailing what should be taught throughout the hockey season and when specific skills and systems should be taught at practices. 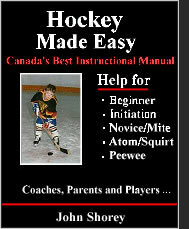 The guide in .pdf format is printable so you can take printed pages to the rink or off-ice practices. Help in selecting assistant and guest coaches. Once your order information is verified - the Coaches Practice Guide can be sent to you within minutes.